Therefore it is good to vary doing both moderate/heavy sets of 8 to 10 repetitions, as well as light sets of 12 to 15. Forearm lifts can be broken down into top and bottom lifts. Back To The Main Battlezone Workout Page. When it comes to weight training, forearms are probably the most neglected body part. Only recently have bodybuilders begun to see the benefits of training forearms as a separate muscle group. These include improved grip, less likelihood of carpel tunnel, plus when one wears a standard t-shirt, a good set of forearms will catch the eye. Forearms are both a strength and endurance muscle. Therefore it is good to vary doing both moderate/heavy sets of 8 to 10 repetitions, as well as light sets of 12 to 15. Forearm lifts can be broken down into top and bottom lifts. These are not as commonly done as bottom forearm lifts, however they are vital to giving your forearms shape as well as size. These are identical to standard EZ Bar and Straight Bar Curls. The difference being you grip the bar palms down, instead of up. The key with reverse curls is to slow down on the downward motion. This will put a lot more stress on the forearms. I recommend using the EZ Bar for these, although you can use the Straight Bar as another option. 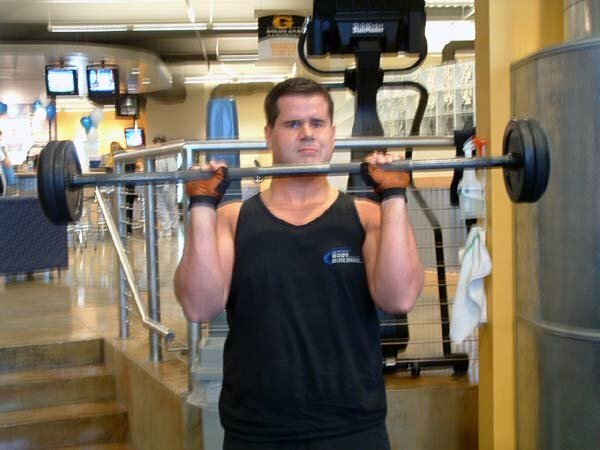 If you do use the straight bar, use a lighter weight and stop immediately if you feel pain in the wrists. Seated on a bench, grip a straight bar, palms down, and rest your wrists on your knees. Grip the bar where it is most comfortable. Both closer and wider grips are acceptable. Keep your forearms relatively flat against your legs and let your hands hang. Then curl the bar, using your wrist only, and hold for a split second at the top of each repetition. Try to keep you forearms stable throughout. This will prevent you from using momentum. These are very similar to Alternating Dumbbell Curls, and can also be done seated or standing. The only difference is that instead of turning your palms up, you keep your palms facing your sides throughout the entire lift. This is a good mass builder. Use this exercise if you are focused on putting sheer mass on your biceps, or use a lighter weight and use it to focus on the tops of your forearms. 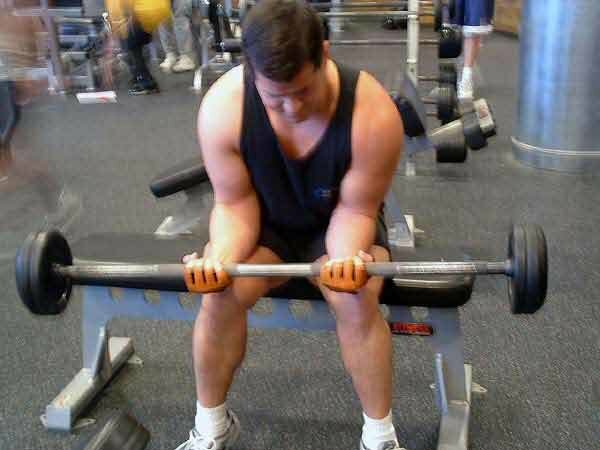 Hammer curls can also be done on the preacher bench. As with all top forearm lifts, slow down on the downward motion to add extra tension to the forearms. These work the meaty part underneath the forearm, and are commonly known than top forearm lifts. These can be done with either a straight bar or dumbbell. Seated on a bench, grip a straight bar or dumbbell, palms up, and rest your wrists on your knees. Grip the bar where it is most comfortable. Both closer and wider grips are acceptable. Keep your forearms relatively flat against you legs and let hands hang. 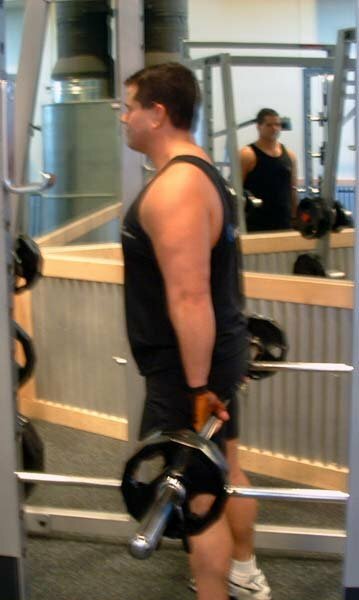 Curl the bar, using your wrists only. Like Reverse Wrist Curls, keep your forearms relatively stable throughout each repetition. You can add degree of difficulty to this exercise by uncurling your fingers slightly at the bottom of each repetition. These are best done in a squat cage, with the bar resting on the safety bars. With the bar behind your back, grip the bar, keeping your hands close to your sides. Curl the bar with the wrist only. The range of motion on these is short; so don't give in to the temptation to use your shoulders or upper arms. These are a way of adding some variety to your forearm workout, and can be done with either a straight bar or dumbbell. Kneel alongside a bench and grasping a straight bar or dumbbell, palms up, rest your forearms across the bench. Let your hands hang off the other side and curl the bar, using the wrist only. Keep your forearms flat against the bench throughout the exercise. These are good for completion of a forearm workout, and work both the top and bottom forearm muscles. These are an optional lift, and are by no means mandatory. Seated on a bench, grasp a moderately heavy dumbbell and let your arm hang between your legs. Twist the dumbbell back and forth. 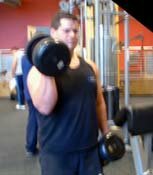 Keep the dumbbell stable throughout the entire lift, and do NOT leg it swing or use momentum. This can lead to wrist injury. Click Here For A Printable Version Of The Forearm Workout! James Mace is a lifting enthusiast who has been in the U.S. Army since 1993.